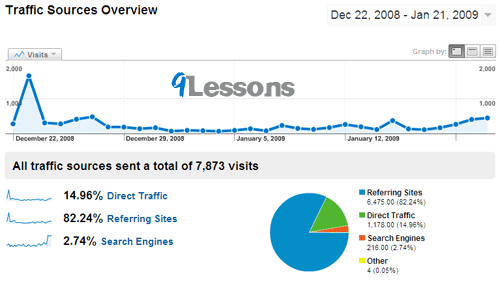 Finally I am very happy with my 9lessons blog traffic. 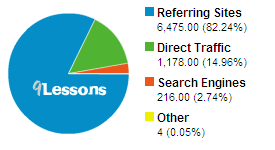 Starting It was getting only hundred visits per day, but now just see the below scree shots. Thanks to everybody it's been encouraging. Traffic was mostly referring sites for this month. Thanks to great community sites like Dzone.com, Del.ico.us and Script&Style. Congratulations!! your blog is simply awesome and very insightful.